There are a number of creative ways that you can use a living trust. Common uses would be for a family trust, estate freeze, managing retirement needs, avoiding probate, ensuring confidentiality, and structuring a divorce settlement. Here are some examples. 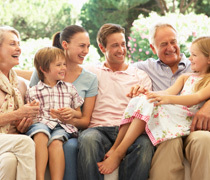 A family trust is a very useful device for holding investments or other assets for the benefit of your children, or for other members of your family to whom you provide financial support. If you have young children, you could build up an investment portfolio within a family trust, which will be used in the future to pay for their higher education costs. If the trust agreement and the transfer of assets or money into the trust are properly designed, significant income tax savings can be achieved over the years because capital gains realized on the trust’s investments will be taxed in the hands of your children at lower tax rates than if such gains were taxable in your own hands. If you are age 65 or older, and you wish to leave your assets to your spouse or partner, you can do this by transferring your assets into a joint partner trust while you are alive. During your lifetime, you would continue to have the use of the trust’s assets, and to receive any income or capital gains realized on such assets within the trust. The Income Tax Act allows assets to be transferred into a joint partner trust at cost, without triggering capital gains tax. An alter ego trust is similar to a joint partner trust, but is for people 65 or older who do not have a spouse or partner. At the time of your death, the trust’s assets would be deemed disposed of at fair market value for capital gains tax purposes. This is no different than for assets that you held personally at the time of death, where there is no surviving spouse. If you have family members who are not able to handle their own affairs, due to mental or physical incapacity, or other reasons, a living trust could be established to provide for their lifetime financial needs. On the recipient’s death, the residue of the funds in the trust could be left for some other purpose, such as a charity or a gift over to your other children. You also may set up a trust for a person receiving disability benefits so they don’t lose their benefits. See a lawyer familiar with the special requirements of these types of trusts. You may wish to set up a charitable remainder trust. In this situation, you could assist your charity of choice by donating a residual interest in a trust to the charity. The common format is for the capital in the trust to go to the charity on your death (the residual interest), and in the meantime, you receive the income earned from the assets in the trust. The trust could be structured so that you receive a donation tax credit when the trust is established, representing the projected fair market value of the residual interest (the remainder). If the capital is not going to be eroded during your lifetime, it is easy to project the remainder. With advances in medical science and people being more aware of healthy living and eating, the average life span has increased immensely over the years. It is not uncommon for people to live into their eighties and nineties. However, with aging, many people do not feel comfortable managing their own affairs. Their children may not have good money management skills, may be very busy or live out of town. For these reasons, many people consider the benefits of a living trust, managed by a trust company and a responsible family member, as co-trustees. Assets are set aside and put into the trust. Normally it is structured so that the parents receive income for life, with the capital distributed to the children and/or grandchildren on the death of the second parent. As a trust bypasses the estate, it is not included in the probate process. Because of this, there are no probate fee or estate administration charges that would be paid. For a variety of reasons, you may wish to keep your gift confidential. By transferring assets to a living trust, alter ego trust, or joint partner trust, the assets are no longer part of the owner’s estate on death. Because the probate process does not cover these assets, they would not be included in the public record when the will is probated.